Most women love to shop, and marketing towards them is aggressive. These tactics have fostered an entire generation of women who think mall first when it comes to buying jewelry. And the shame of that is that most never get to experience the excellence and uniqueness that handcrafted jewelry provides. The most obvious benefit of department store jewelry is convenience. It’s easy to shop for, it’s relatively inexpensive and the pieces tend to be suitable to all occasions. The downside to that is that thousands of women are wearing the same exact pieces and even more are familiar with them. One of the greatest gifts jewelry gives us is individuality, but that aspect tends to be missing from the machine-made pieces that make it to the mall. There’s little doubt that most women would love a unique piece, but they tend not to even try because they associate that with being wealthy. But it doesn’t have to be that way. 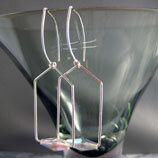 Handcrafted jewelry is the alternative. These pieces are unique, affordable and best of all, striking works of art. 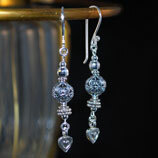 Handcrafted jewelry does take more time. Finding that perfect piece is a process, but it’s a process made much easier by the advent of the Internet. 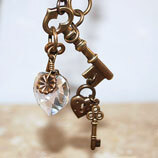 The selection of handcrafted jewelry available to you today is truly remarkable. Each woman who wears a piece of jewelry does so with specific goals. One of the most important is that communication of her individuality. Perhaps she wished to exude sophistication for a formal affair or fun for a more casual one. 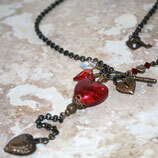 Handcrafted jewelry is versatile enough and affordable enough to meet all of these needs. The next time you desire new jewelry, stop for a moment. Don’t rush out to the nearest jewelry store or mall. Take a moment to consider your alternatives. 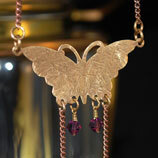 Shop some of the many great handcrafted jewelry opportunities online. Not only can you stretch your budget further, you can buy pieces that are unlike anything else in this world. A master artisan crafts each piece with a great deal of care and attention to detail. Some of the techniques they use date back to 7000 B.C., and that produces qualities that are no longer present in the machine-made jewelry pieces available at your local mall. If you’re interested in learning more about handcrafted jewelry or want to peruse the Internet’s finest selection, visit Genuine Bijoux. 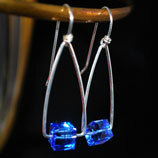 They are an amazing resource for lovers of handcrafted jewelry, and their prices and selection are unmatched.